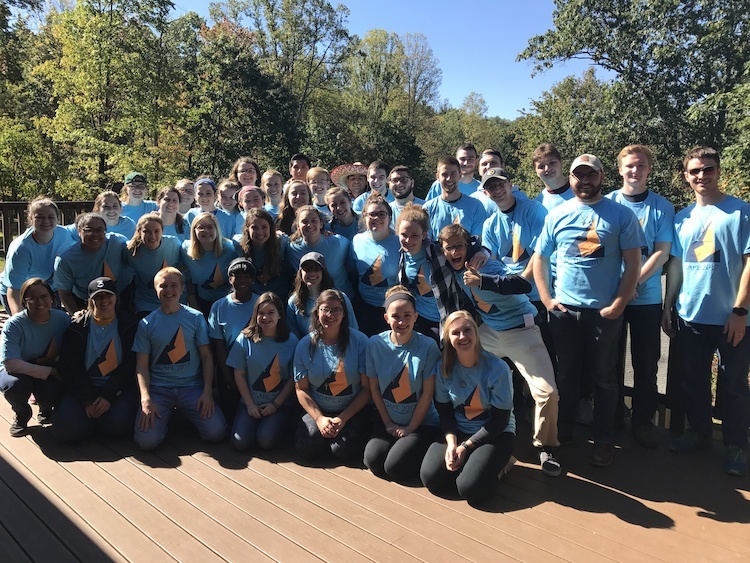 Inspired by the mission of the Brothers of Christian Instruction, Campus Ministry exists to build an open and vibrant Christian community, grounded in the rich tradition and sacramental life of the Church, committed to evangelization, prayer, study, teaching and service. Our goal is to minister to the spiritual needs of all students, faculty and staff, encouraging members of the Walsh community in whichever faith tradition they come from. 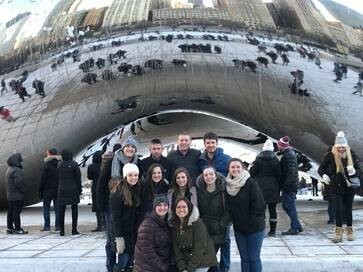 Students from any and every religious background are highly encouraged to participate in one of our many retreats, small group communities, men’s and women’s fellowships, service opportunities, nights of worship or mission trips. We extend a special welcome to students enrolled in our School for Professional Studies, commuter students, as well as students with no faith background at all. As of Summer 2018, the offices of Campus Ministry are located in the Drexel House (which may be renamed), next to the Garage Center for Innovation, and behind the Barrette Business and Community Center. 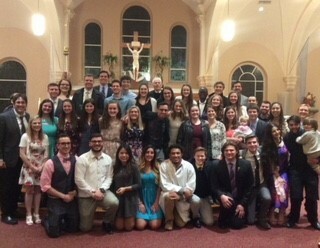 The Connector chapel (located in connector area of residence halls), the St. Teresa of Calcutta chapel (located in the Global Learning Center) and the Our Lady of Perpetual Help chapel are open many times throughout the week and to ALL students (not just Catholics) for prayer, reflection and rest. Let us be a home away from home! 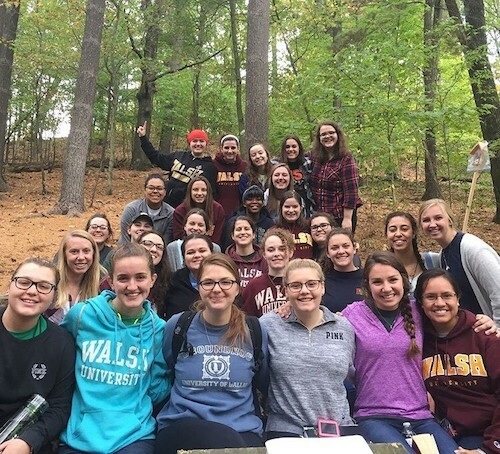 Campus Ministry works closely with the Director of Liturgical Services, the campus chaplain and other resident priests, the Office of Mission Implementation and the Theology Department to provide ongoing formation opportunities to the campus community of Walsh University. Students will be able to express and share the value of faith fostered in the Catholic learning community by growing in knowledge and challenging others through word and witness. 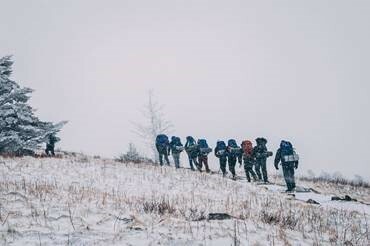 Students will learn and develop effective leadership skills grounded in the Gospel value of service. Students will be able to understand local and global issues and demonstrate an understanding and appreciation of diversity in the light of their faith by scrutinizing the signs and the times and interpret them in light of the Gospel. Students will exercise their civic responsibility through the lens of peace and justice. Students will be able to develop a transformative prayer life that will form and inform their praxis as servant leaders and aspiring professionals.